Here's my take on your packaging design. I made it modern but simple. Unlike the 1st design, here I gave emphasis on the photo of the product and its specification. I believe this is better if you prefer to have a smaller logo on your packaging. 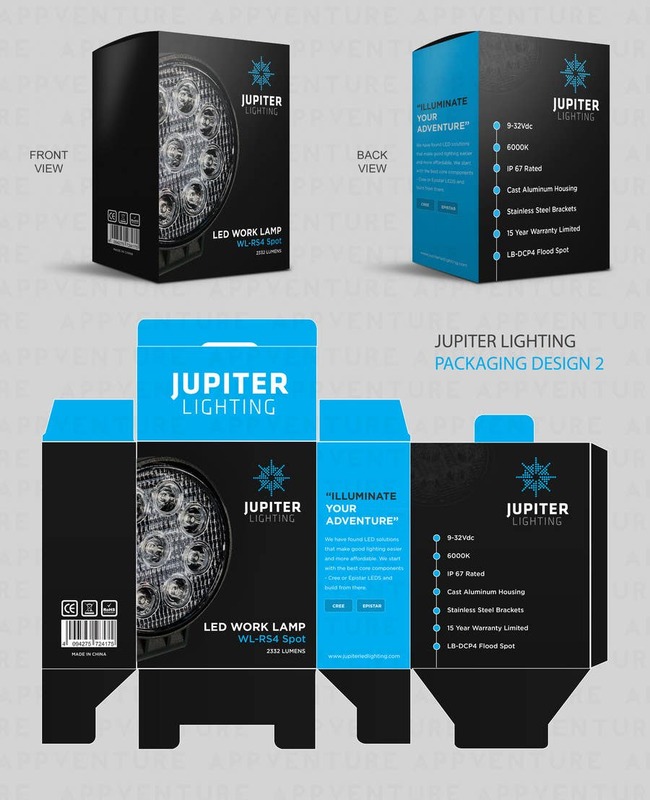 Please refer to this link for a bigger view of the design https://www.dropbox.com/s/auh7baj0kphas0h/JUPITER%20LED%20LIGHTING%20PRESENTATION-DESIGN%202.png?dl=0 (the size of image is decreased here in Freelancer) Please leave your feedback.